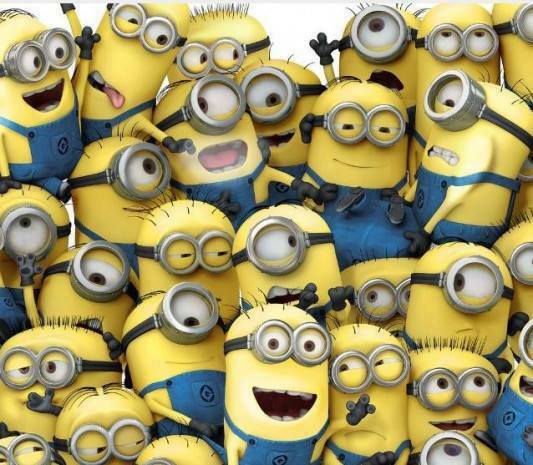 One of my favorite movies of all times is Despicable Me. 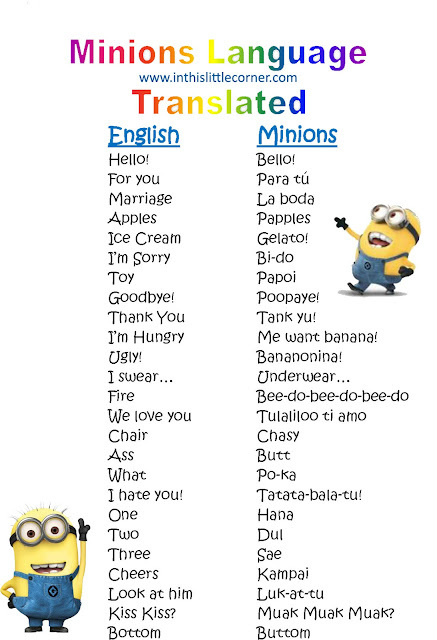 I am IN LOVE with the Minions!! Ohhh, they are soooo cute!!! My favorite ones are Dave, Carl and Kevin. But trying to understand what they are saying is a challenge at times. So, I decided to look around the Internet for some sort of "Minion Dictionary" that would help me understand a little bit more what my favorite characters are saying. 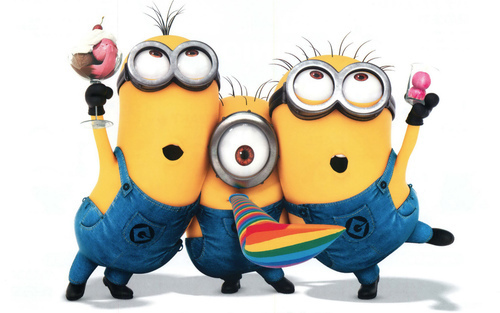 Well, off to go see Despicable Me 2!